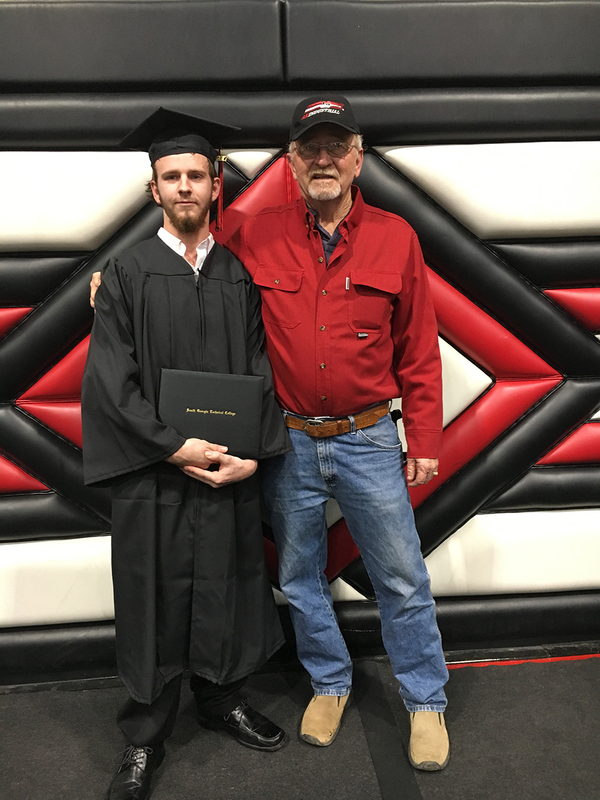 Gordon (Justin) Richardson of Branch 11 recently received his Electrical Systems Technology Diploma from South Georgia Technical College (SGTC) in Americus Georgia. Dr. John Watford, SGTC President, and Kent Cheney, Justin’s supervisor, presented him with his diploma. Justin completed the program at SGTC in 2 1/2 years. His classroom instruction included topics in safety procedures, electrical theory, Ohms Law, blueprint reading and the National Electric Code (NEC). As a fourth year apprentice with MetroPower, Justin’s next educational goal is to complete his apprenticeship by reaching 8000 hours of on-the-job training and receiving the coveted Department of Labor Electrician Journeyman Certificate of Completion. Completing an apprenticeship is the cornerstone for electrician training and is the spring-board for reaching advanced licenses and certifications. MetroPower is proud of Justin’s educational achievements and will continue to support him as he assumes additional responsibility and leadership within the company.